Creative Roots holds many exciting summer camps that provide dancers and non-dancers alike the chance to learn something new. Call 250-847-3030 or email office@creativeroots.ca each May for all the details of our amazing dance camps. 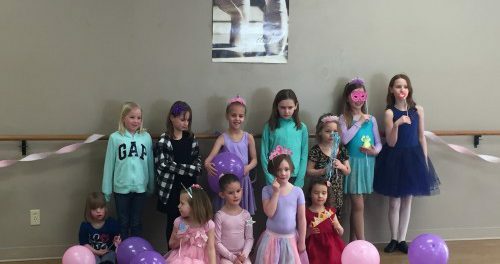 Creative Roots is bringing the fun back into Birthday Parties. Choose from our awesome themes and make your child’s next birthday party the best one yet. Themes include but are not limited to- Ballet, Hip-hop, Princesses, Frozen, Rock Stars, Under the Sea, Cowboy/girl, Hawaiian, and more! Creative Roots is the proud source of ALL your dancewear and shoe needs! We are the only dancewear and shoe store in the Bulkley Valley. We are an official Mondor retail outlet, aiming to provide you with the best dancewear and shoes to fit the needs of each dance class you take. If you have special orders, we are more than happy to order anything to suit your request.